A revised version of January’s state budget was unveiled last week by the office of Gov. Edmund G. Brown. Despite tightening the belt on state spending, the adjustments, commonly known as the May Revision, detail a five-year plan to increase state spending on California’s public education system. The plan outlined in the new budget promises to provide $1,046 more per K-12 student this year than the last one, and an increase of $2,754 per student through 2016-17. Under this new spending plan, the University of California system will experience a spending increase of about 20 percent over the next five years. “These measures will provide not only the additional fiscal stability to meet UC mandatory costs, but also funding to re-invest in the quality initiatives that will support the governor’s plan for additional performance outcome measures,” said Patrick Lenz, the UC system’s Vice President for Budget and Capital Resources. 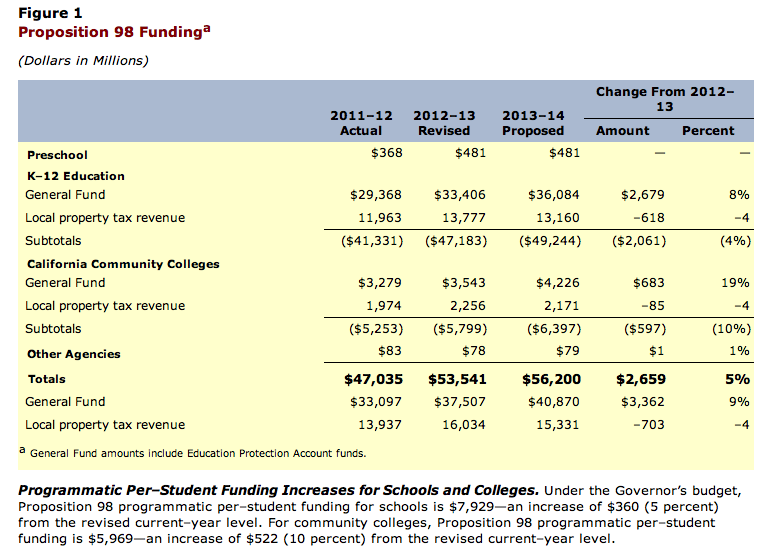 All in all, the budget plans to inject $17 billion into California’s public schools over the next five years. This presents a much-needed turnaround for a public system that experienced staff layoffs and shortages over the last few years. The budget commits state funding of the UC system as a whole to an increase of 5 percent in the 2013—14 fiscal year and then 5 percent, 4 percent, and 4 percent through fiscal year 2016-17. According to the California Department of Education’s statistics, the state funds some 10,000 public schools that are home to over 6.5 million students—the largest public school system in the United States.